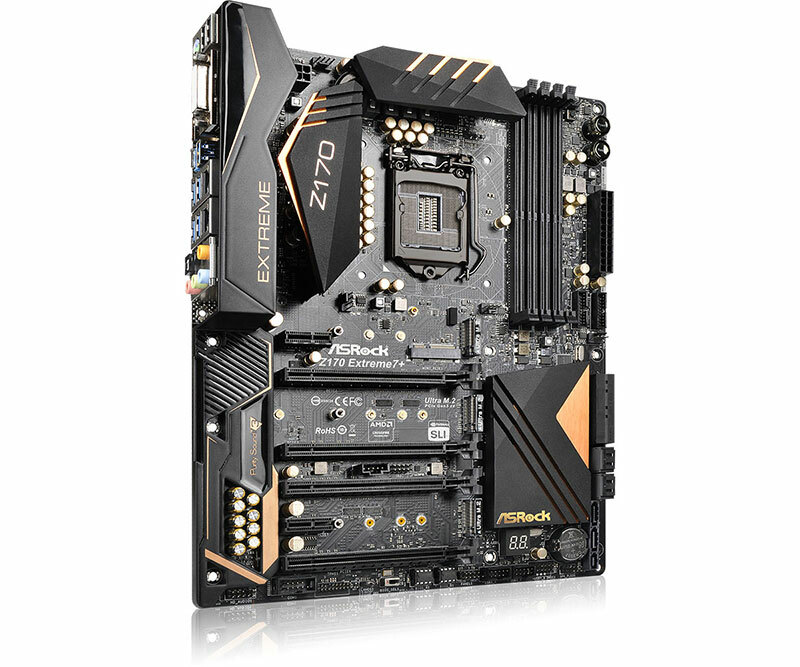 The ASRock Z170 Extreme 7+ is the highest-end model in ASRock’s Z170 Extreme series of motherboards. The plus behind the board’s name simply means that it comes with a USB 3.1 front panel with one Type-A and Type-C port. It works by plugging into a SATA Express port on the motherboard. 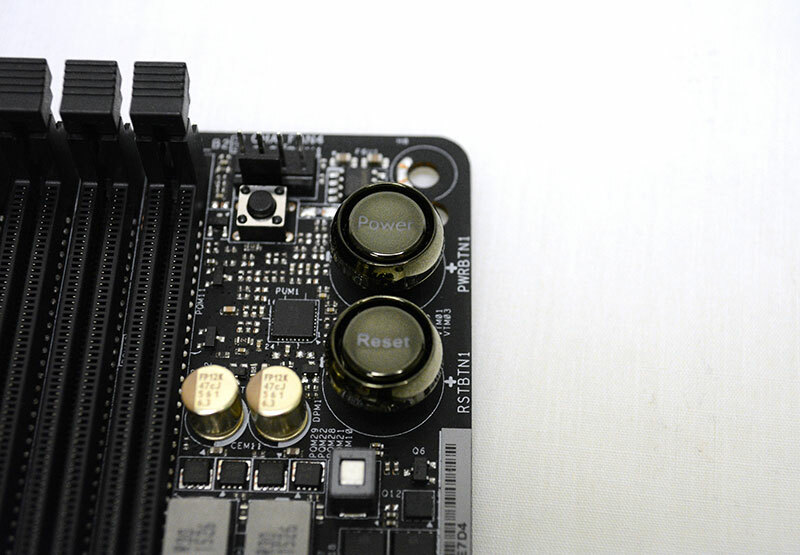 For starters, the board has a rather stealthy look with its matte black PCB and heatsinks, with only faint accents of copper that inject a bit of design flourish. It uses a 12-phase digital power design, which isn’t as elaborate as some of the other boards in this shootout. However, it’s worth noting that the number of phases matters less than the quality of the components themselves, and that’s what we’ll be assessing in our overclocking tests later on. Either way, ASRock is setting a lot of stock by what it says are premium 60A power chokes and Nichicon capacitors that deliver a cleaner and more stable Vcore to the CPU. There are a total of four PCIe 3.0 x16 slots. 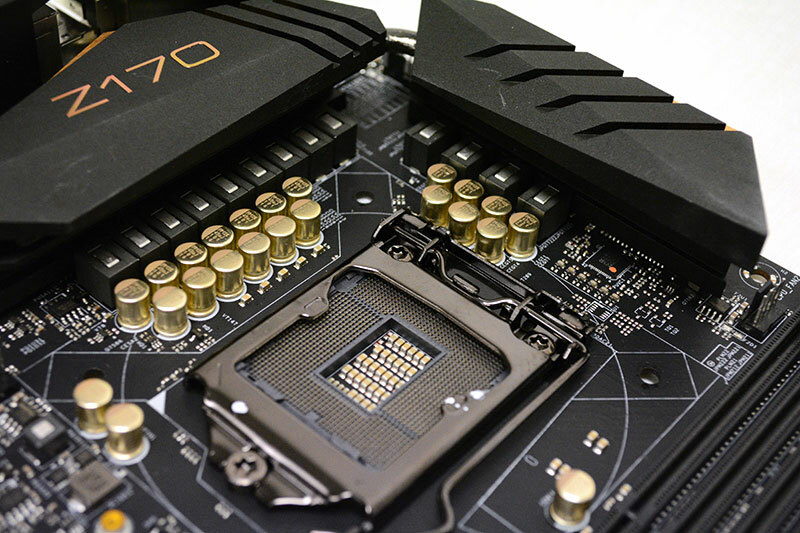 The first three will run in x8/x4/x4 modes in triple-GPU setups (x8/x8 for dual-GPU in the first and third PCIe 3.0 x16 slot), while the last slot is limited to just x4 mode. 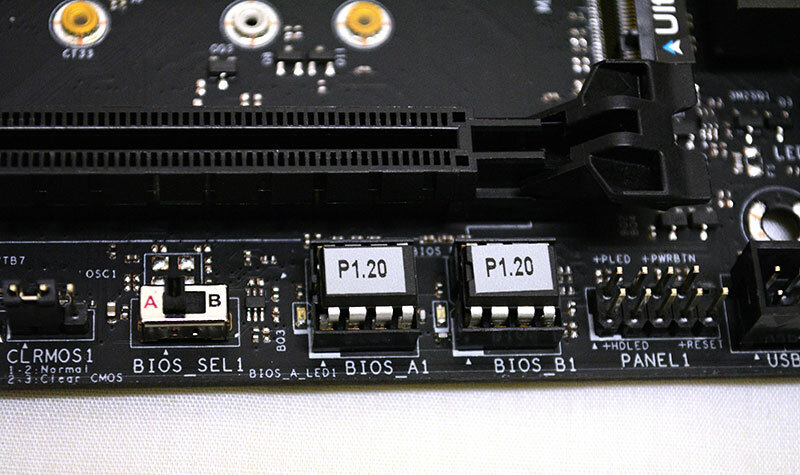 In addition, there is a single PCIe 3.0 x1 slot and PCIe 2.0 x1 for add-in cards. 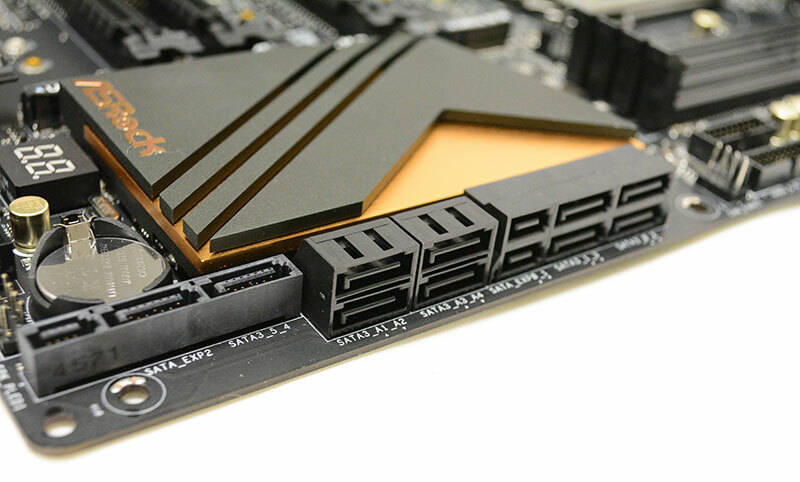 These PCIe 3.0 x1 slot actually uses a new design that accommodates a wider range of add-in cards. The bandwidth still still be limited to PCIe 3.0 x1, but it will take cards of all sizes because of one end of the slot has been left open to fit larger cards. 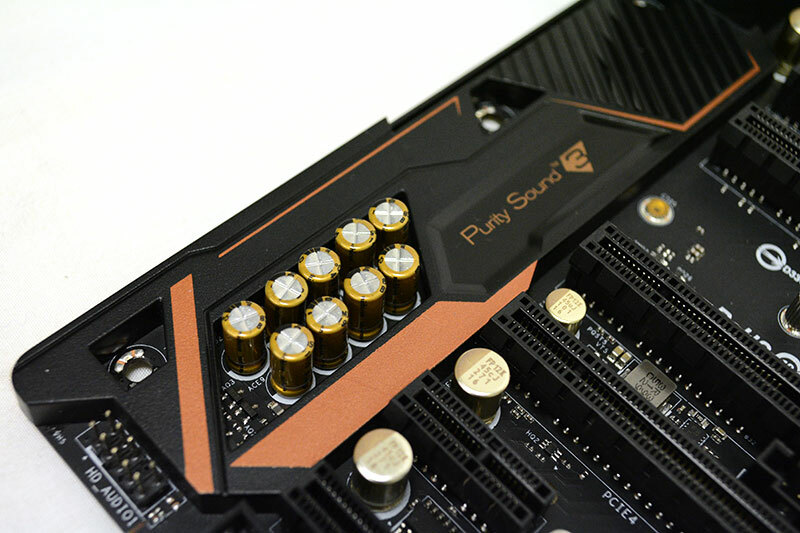 One interesting inclusion is the half-size mini PCIe connector located above the topmost PCIe 3.0 x16 slot. This is good for things like Wi-Fi add-in cards, as the board lacks onboard Wi-Fi capabilities. 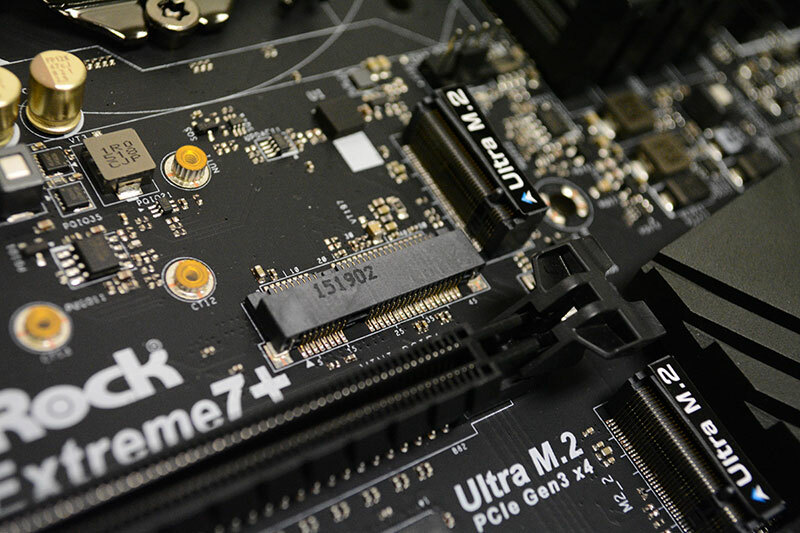 That’s actually quite a range of PCIe slots, and when it comes to storage options, the ASRock Z170 Extreme 7+ serves up quite a selection as well. 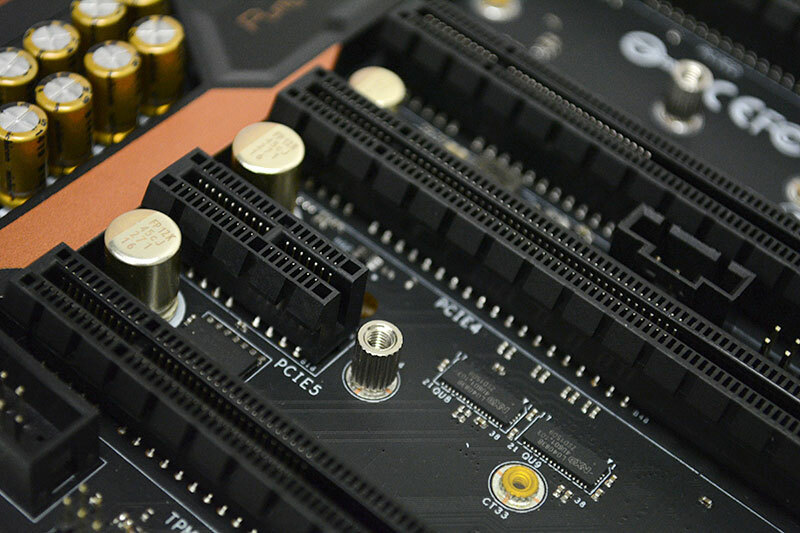 There is a total of 10 SATA 6Gbps ports (six from the chipset and four from the ASMedia ASM1061 controller), three SATA Express connectors, and an impressive three M.2 sockets (PCIe and SATA). Taken together, that’s a lot more options than the other boards offer. Then again, it might just be a case of cramming a board with superfluous features that few people are going to utilize fully. Of course, even though there are three M.2 sockets, populating all of them is going to end up disabling up to six SATA ports due to lane sharing. 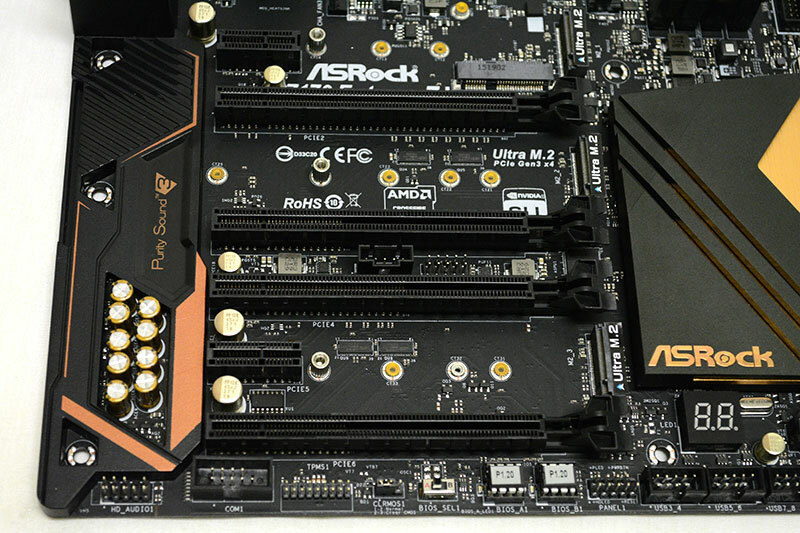 Furthermore, the M.2 sockets are compatible with ASRock’s M.2 to U.2 adapter, which opens up the possibility of running three 2.5-inch PCIe drives like the Intel 750 series SSD in RAID 0. The rear I/O port selection includes one USB 3.1 Type-A and one Type-C port (light blue) from the ASMedia ASM1142 controller, four USB 3.0 ports (blue), and two USB 2.0 ports (black) from the chipset. There is even PS/2 connector for legacy devices, although we can’t see many people needing one now in this day and age. There’s also a wider selection of display connectors than usual. There is a single DVI-D port, in addition to the usual HDMI and DisplayPort outputs. Also present are dual Intel LAN ports that support teaming, which means you can connect two LAN cables simultaneously and combine them for a single, faster connection. The audio solution is ASRock’s Purity Sound 3, which sports a 115dB signal-to-noise ratio (SNR), a Texas Instruments NE5532 amplifier that can power headsets up 600ohm, and proper shielding to isolate the audio circuitry from digital noise. It uses Realtek’s 1150 audio codec, a rather common choice for manufacturers these days. Power and reset buttons are located at the top right-hand corner of the board. Along the bottom edge is a switch to clear CMOS and another to change between the dual BIOS. A BIOS flash gone wrong could brick your board irrevocably, so it’s nice to see a dual BIOS option that could help you recover from that. And as we mentioned earlier, the board actually comes bundled with a USB 3.1 Type-A and Type-C front panel. 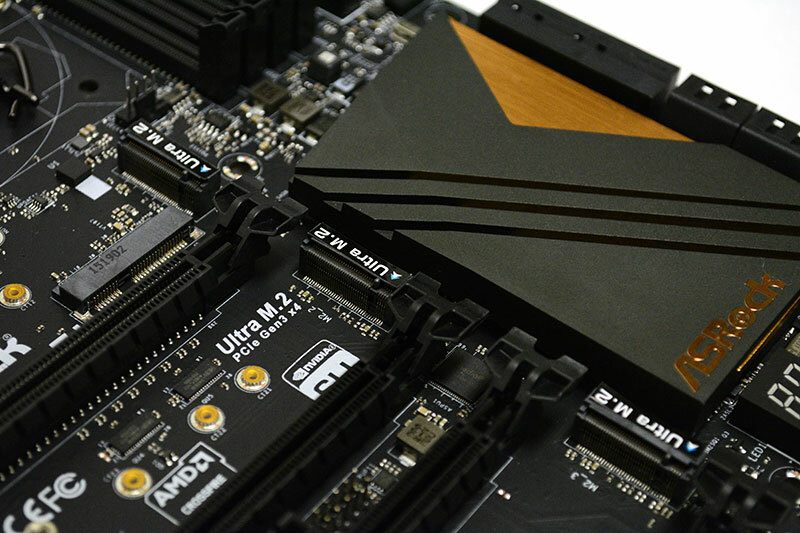 It plugs into any SATA Express port on any motherboard, so you're not restricted to just ASRock boards.